Home to more than 38 million persons, more than 30 million registered motor vehicles, and approximately 23.6 million registered drivers, California is home to thousands of car accidents each year. According to the California Highway Patrol there were more than 461,400 traffic accidents reported throughout the state in 2010. 161,000 injury-related collisions were reported to the CHP in 2010. More than 229,000 people were injured in these collisions that same year. Men were involved in more accidents than women. The majority of all collisions occurred during rush hour, specifically between 5p.m. and 6p.m. An accident was reported every 1 minute and 16 seconds. With such a large population and number of licensed drivers hitting the California roadways each and every day, a motorist in the state must be prepared to deal with these collisions. If you or a love done has been injured in a California auto accident, you may be entitled to compensation for property damage, medical expenses, lost wages, and more. An experienced California auto accident attorney can help you determine what your legal rights are. 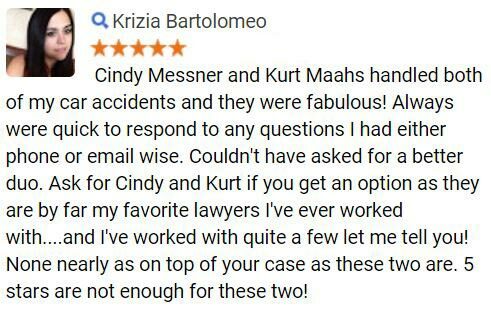 For a no-cost, no-obligation review of your car crash claim, fill out the FREE CASE REVIEW form to your right its completely confidential. In California there are drivers in most all age groups from teenagers aged 15 to 19 to those over 90, who were actually involved in more than 470 injury-related collisions in 2010. Inexperienced driving is a common cause of collisions which is why teenagers made up for about 7 percent of drivers injured in motor vehicle collisions. It is illegal to text and drive and to use a hand-held device while driving in the state of California however such acts are still a leading cause of car wrecks. Speed however accounted for more than 30 percent of the causes of car wrecks throughout the state. Collecting data on car collisions is a great way to discover what vehicles are more likely to be involved in certain car types of car accidents as well as the demographics of drivers most frequently involved in wrecks. Single-vehicle accidents are the type of accidents that involve one vehicle crashing into a fence, light pole, tree, or other fixed object. In California there were more than 730 fixed-object accidents reported however the majority of collisions throughout the state were broadside. According to the California Highway Patrol, the cost per person of an injury complaint, visible injury, and serious injury in a 2010 auto accident was more than $326,000 which is about a $4,000 increase compared to 2009. If you have lost a loved one due to a fatal car accident injury, you may be entitled to file a wrongful death claim if the person at-fault was found to be negligent. Contact our wrongful death attorneys by calling or texting 1-800-706-3000 to discover what your legal rights are. After a car accident occurs a person is often left distraught and wondering what they should do next. Speaking with an experienced California auto accident attorney can help you determine what your legal rights are and if you may be entitled to compensation for property damage, medical bills, pain and suffering, and more. 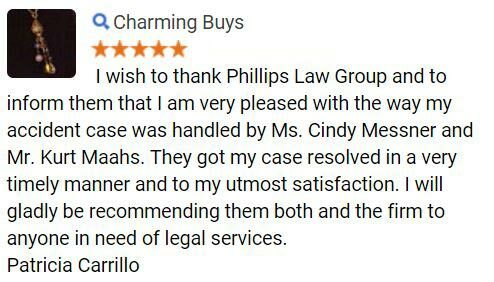 At Phillips Law Group we are dedicated to helping accident injury victims fight for their right to fair and just compensation. 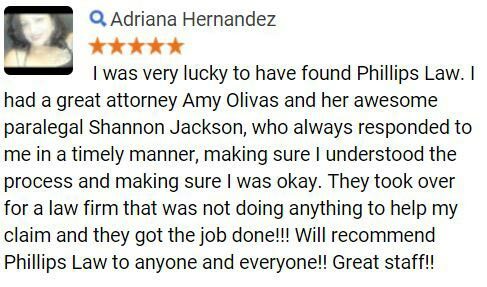 Our attorneys can provide comprehensive legal counsel and will help to guide you or your loved ones through the legal process. and many more local towns and cities. 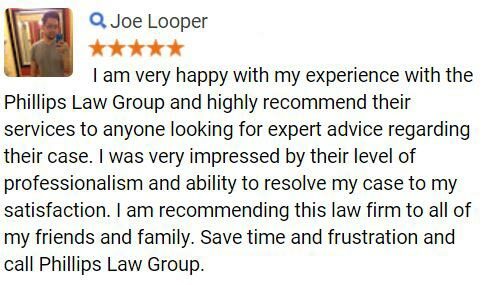 To schedule a free, no-obligation case consultation with one of our knowledgeable California auto accident attorneys, contact us by calling or texting 1-800-706-3000. You can also contact us online by filling out the FREE CASE REVIEW form at the top right-hand corner of this page its completely confidential.